Labor Day is the perfect time of year to get one last taste of summer before autumn starts to set in. For many, it’s the last weekend before school starts up again, and for others, it’s an opportunity to go on picnics with friends or family, fire up the grill one last time, or get one more use out of that camping gear before packing it up for the winter. Each of the destinations on this list will offer travelers an opportunity to spend time with family, friends, or loved ones, whether it’s on a beach, in the woods, in the big city, or on a waterslide. 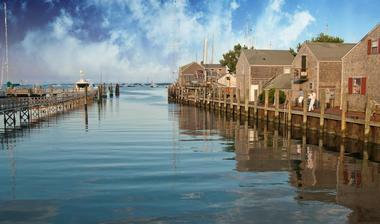 Labor Day weekend marks the last hurrah for summer in Cape Cod, Massachusetts. This hooked peninsula, which extends outward from the mainland into the Atlantic Ocean, is a popular getaway for vacationers all over the country, and Labor Day is a great time to experience Cape Cod before many of the seasonal shops and businesses close up for the winter. Visitors can feel the first breezes of autumn on some of the last summer boat tours around the bay or soak up some of the final rays of summer on the beaches of Cape Cod National Seashore before enjoying a meal of fresh clams or other seafood at one of the many small food shacks in the area. Located across the water from Seattle, on the shores of Lake Washington, Kirkland is more than just a suburb of Seattle. While many people working in Seattle moved to Kirkland for its slower pace and better quality of life, many more come during the summer to enjoy the city’s lush waterfront parks on Lake Washington, such as Saint Edward State Park and the equestrian Bridle Trails State Park. The parks are connected by a paved trail, perfect for hiking, rollerblading, walking a dog, or just strolling along the water. There are several art galleries downtown, and the Kirkland Performance Center offers a range of performing arts events. The Kirkland Arts Center is located on Market Street in the historic Peter Kirk Building and offers a gallery space, classes, and workshops. 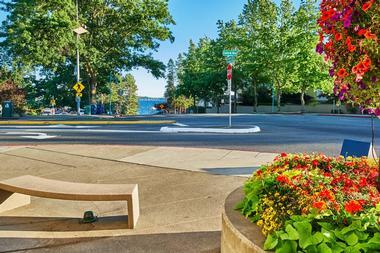 Kirkland is also a great shopping destination, but its magnificent nature is what really makes it such a special place. Established in 1733, Savanna is the oldest city in Georgia as well as an important Atlantic seaport and a modern industrial city. 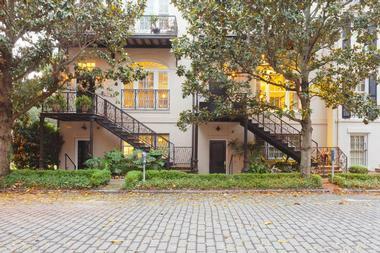 However, what everyone remembers about Savannah are the magnificent antebellum mansions in the city’s several historic districts, the cobblestoned streets, and the parks shaded by ancient oak trees dripping with Spanish moss. Savannah is full of history and old charm and is best explored on foot or in one of the picturesque horse-drawn carriages. Its historic downtown is full of well-preserved 18th and 19th century homes, lush gardens, and elegant squares with cool fountains. Take a rest in Forsyth Park, visit magnificent the Gothic revival Saint John the Baptist cathedral, visit Telfair Academy, the oldest art museum in the South, stroll through the city’s old cemeteries, and take a tour of one of many house museums. 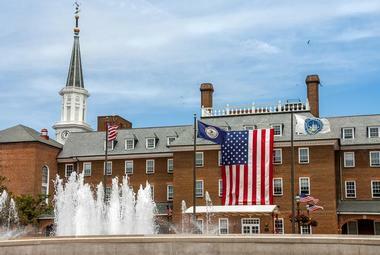 Stretched along the Potomac River just outside of Washington, D.C., Alexandria is a beautiful, elegant Old World town. Start your exploration in the Old Town, with worn brick sidewalks and wonderfully restored 18th and 19th century houses. King Street is a great shopping destination, lined with all sorts of shops and boutiques. Gadsby’s Tavern, now a museum, was the place where the Founding Fathers used to come for a meal and a beverage or two. Strolling through Carlyle House Historic Park is like a trip through history, with a beautiful Georgian mansion and a lush garden. Nearby is Mount Vernon, once the estate of the first American president. The George Washington Masonic National Memorial, with its ornate hall, observation deck, and museum, is a shrine to George Washington. The Torpedo Factory Art Center, located in a former munitions plant, is the city’s renowned art gallery. 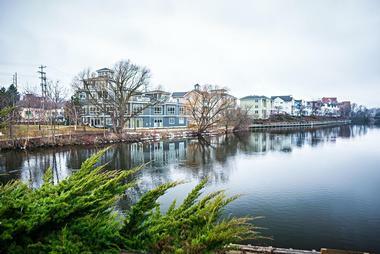 Mystic, a small village in Connecticut, is a place that has entirely devoted itself to a maritime theme. Visitors to Mystic will enjoy spending time at Mystic Seaport, a fantastic and interactive open air museum that contains a working shipyard, four historic ships and vessels, and an entire 19th century seaside village. Visitors can step aboard the Charles W. Morgan, which is the last remaining whaleship made of wood in the entire world, or wander the historic gardens in the village as well as the many museums, which display artifacts, documents, and educational exhibits about maritime life in Mystic throughout history. The historic city of Grapevine, Texas is full of outstanding shops, restaurants, and, as the name of the city suggests, some spectacular wineries. Labor Day weekend in Grapevine marks the close of the city’s annual SummerBlast, a series of events and festivals that take place throughout the summer, so visitors in Grapevine at this time of year are sure to find some festivities taking place at every turn. You can enjoy the literal fruits of labor in the many local wines, and you will also enjoy browsing the artisan workshops in the historic downtown district of the city, which features a foundry for bronze working, artisanal glassblowers, and even a blacksmith shop. 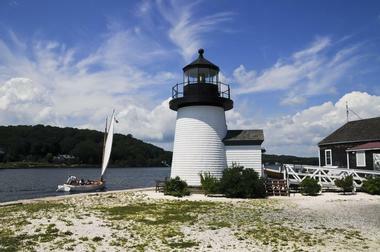 Each year on Labor Day weekend, the town of Camden in Maine hosts their annual Windjammer Festival. During this time, the whole town comes together to celebrate the rich cultural history of sailing and the maritime industry, particularly by sending all their sailboats out to sea at once in a glorious and fun display of tradition. The festival is one full of dancing, food eating contests, boat races, lobster crate races, and an exciting and diverse maritime heritage fair where visitors can buy crafts and local food. There are also plenty of events for families such as scavenger hunts, picnics, movies under the stars, and much more. 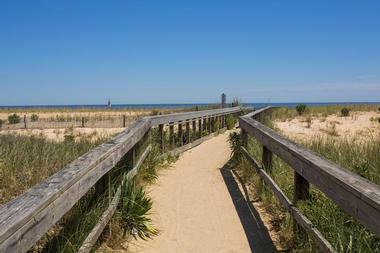 The small coastal town of Bethany Beach is, as its name suggests, home to a wonderful wide beach lined with a boardwalk that’s perfect for a picnic, gathering, or just a day spent relaxing in the sun. Visitors will love the peaceful atmosphere of this charming town, with friendly people and fantastic restaurants to offer. Just north of Bethany Beach is Delaware Seashore State Park, which features miles and miles of beautiful, relaxing beaches, and to the south of the town is Fenwick Island State Park, which has sandy dunes and waves that are popular with surfers. The city of Hartford is the capital of Connecticut and the birthplace of famous American writer Mark Twain. Visitors can explore the Mark Twain House and Museum in Hartford to see documents, artifacts, and even the writing desk where Twain worked on some of his most famous and well known stories. 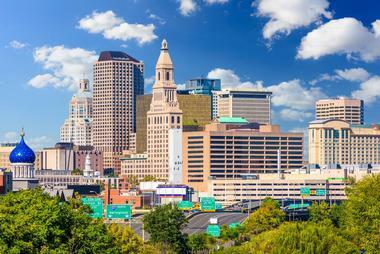 The city and the surrounding area are also generally host to a number of Labor Day celebrations, including parades, fairs, car shows, music, and even a Renaissance fair, so whether visitors are traveling solo, as a couple, as a family, or with a large group of friends, Hartford and Connecticut have got them all covered for a fun weekend getaway. 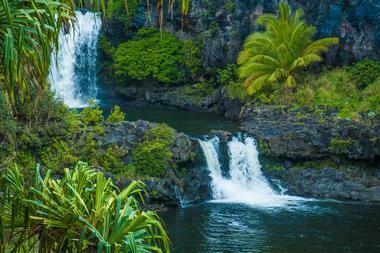 What better way to celebrate the end of summer than by heading to Hawaii, the land of eternal summer and a worldwide paradisiacal destination? August is the busiest month of the year for tourism in Hawaii, and Labor Day weekend strikes a fine balance in riding the line between summer and fall, so visitors traveling around that time may find that the island of Maui is much less crowded than it would have been even a week prior. While friends and family are having picnics and barbecues on Labor Day back on the mainland, visitors to Hawaii can spend their days at the beach, hiking, or on the water before partaking in a traditional luau for a Labor Day cookout they’ll never forget. 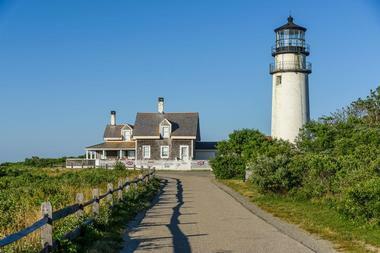 Nantucket, Rhode Island is a vacation hotspot throughout the summer with its beautiful beaches lined with sandy dunes, historic lighthouses, and distinctive unpainted buildings with their cedar shingled roofs. All summer, the tiny island is a shining beam of life and excitement with bars, parties, and festivals to tide over its residents and visitors, and on Labor Day weekend, visitors to Nantucket let that summer season go out with a bang. Concerts, parties on the beach, specials and events at restaurants, and massive sales at local shops are just some of the ways that Nantucket celebrates Labor Day weekend, and combined with a setting that’s loads of fun every day of the year anyway, it makes for an unbeatable weekend. 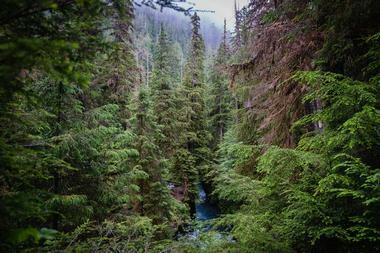 The green, moss-covered expanses of the rainforests in the Pacific Northwest are legendary, with their tall trees, moist air, and thick layer of lichen and moss over everything. In Olympic National Park in Washington, these forests abound, sprawling over rolling hills and climbing up the sides of dramatic stony mountains with their rocky and ice capped peaks. Visitors to Olympic National Park on Labor Day weekend will find the beautiful park to be quite busy, but because the place is so massive, they will easily still be able to find solitude and enjoy the beauty of the nature that surrounds them as they drive, hike, or camp in the park. 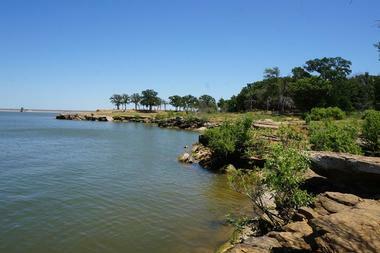 Hoopers Island, Maryland is the name given to a chain of three islands off the coast of Maryland in the Chesapeake Bay. This small slice of paradise is a dream for boaters and fishermen who will find an abundance of fish and crab in the water surrounding the islands. Visitors can bring their own boats or rent or charter a boat from one of the many companies on the islands, who also offer experienced guides that can take their guests to the best fishing spots in the region. 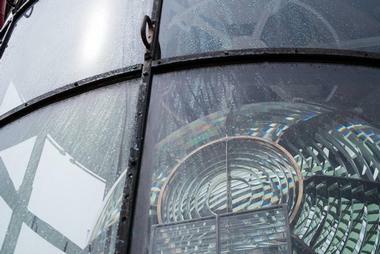 Some must-see attractions on Hoopers Island are the Hoopers Island Lighthouse, A.E. Phillips and Son, and of course, Old Salty’s, which is a legendary restaurant on the island that serves delicious local crab. 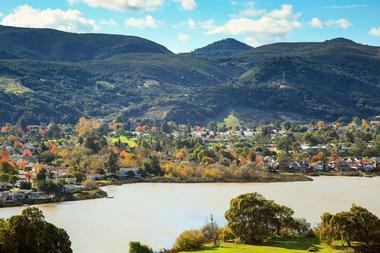 Spending the long weekend in San Luis Obispo in central California is sure to be a blast, filled with plenty of activities. There’s the San Luis Obispo Farmers’ Market, where visitors can find fresh local food, colorful arrangements of flowers, live music, and a ton of local restaurants and breweries to try out downtown. In town there are also a number of art galleries and museums to visit, including the Mission San Luis Obispo de Tolosa, located inside an 18th century mission. Visitors will also enjoy a day spent in the sun at Avila Beach or out on the water on a paddleboard, kayak, or fishing boat. 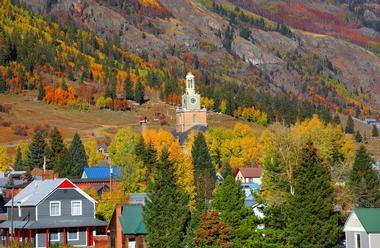 Silverthorne is a beautiful town in the Colorado Rocky Mountains located just over an hour’s drive from Denver. If the gorgeous mountain scenery isn’t enough to seal the deal as a destination for Labor Day weekend, then the attractions and festivities in Silverthorne should do the trick. Visitors to Silverthorne have a wealth of outdoor activities at their disposal, including hiking, ATV tours, kayaking, fly fishing, and much more, and the mild Colorado weather (which boasts 300 days of sunshine a year) pretty much ensures that visitors will have optimal conditions for their adventures. 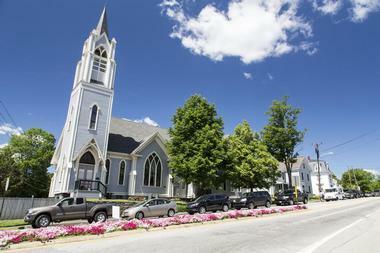 Moreover, the nearby town of Dillon hosts a Labor Day weekend concert festival full of live music, great food, and unique vendors of local crafts and products. 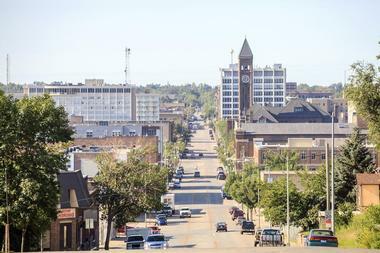 In 2017, Sioux City held their First Annual Labor Daze celebration (a country music festival that includes concerts from local and touring country music acts) as well as events like mechanical bull riding, karaoke contests, and even a Mr. & Miss ‘Merica pageant. Guests at this epic block party will find an abundance of food, beer, games, music, and enough fun to last the entire three day weekend. The Labor Daze festival donates its proceeds to a charitable cause, too, so really, attending this amazing party is a just a dutiful – and very fun – way to give back to the community. Traverse City, Michigan is a city located on the shores of the great Lake Michigan, and it’s a perfect Labor Day destination because of the sheer diversity of entertainment options. Guests can rent a boat and spend the day waterskiing or fishing on the lake or hop in a kayak to see Lake Michigan at a much slower, more relaxed pace. There are beaches, beautiful trails for hiking and walking, and plenty of campsites for a weekend spent in a tent, and there’s also Sleeping Bear Dunes National Lakeshore, a gorgeous area with miles of sandy beaches, tall bluffs and dunes overlooking the lake, beautiful green forests, and even a historic lighthouse. There’s nothing like relaxing with a glass of delicious wine on Labor Day weekend, because unwinding with friends over a drink can be a great way to spend a long weekend. The city of Sonoma, California, is a perfect place to do this because it is located in the heart of the Sonoma Valley with a number of fabulous vineyards in the area. The city of Sonoma is known for its art scene, like the Mission San Francisco Solano, which is located in a historic mission, as well as its famous Sonoma Plaza, constructed in a stunning colonial style and home to lots of shops and dining. Visitors can stay in the beautiful, relaxing city, and spend their days checking out world class wineries. 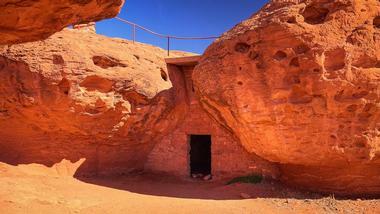 St. George, Utah is yet another quaint small city that packs a big punch for visitors. Parks showcasing the unique and beautiful nature of Utah abound near St. George, and visitors will greatly enjoy paying a visit to the tall dunes and red sandstone cliffs of Snow Canyon State Park, exploring the reservoir at Sand Hollow State Park, or taking on the iconic red canyons of nearby Zion National Park. The city of St. George is one that bears a lot of history, and during your visit, you can check out sites like the Brigham Young Winter Home and the Pioneer Courthouse to learn more. The city of Tupelo in Mississippi is perhaps best known as the birthplace of Elvis Presley, a man whose music has transcended the title of fame and become legend. Tupelo is a fun and exciting destination where visitors can explore Presley’s childhood home and learn about his early life at the attached Elvis Presley Museum, see vintage cars and other vehicles at the Tupelo Automobile Museum, and stand at the site of a major Civil War battle at Tupelo National Battlefield. 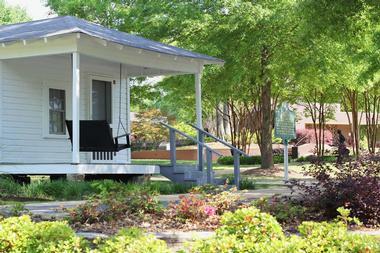 Despite all of this excitement and activity, Tupelo still manages to hold on to its small town feel, and that right there is part of its charm. 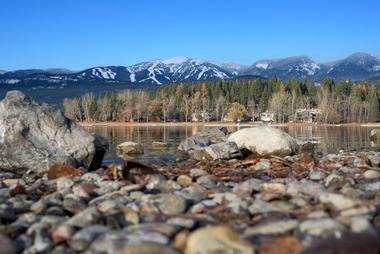 The town of Whitefish, located in northwest Montana, is a perfect desitnation for Labor Day weekend. Located on the edges of Whitefish Lake, the town itself is charming, with shops, restaurants, and more, but its real draw comes from its truly perfect setting as the gateway to Glacier National Park. This massive, 1,500 square mile stretch of land in the northern Rocky Mountains is home to more than 700 miles of hiking trails amidst jagged, dramatic mountain peaks, green valleys, and a diverse selection of wildlife that includes bears and mountain goats. 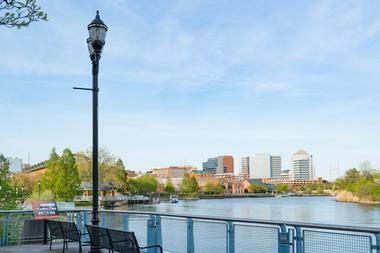 Visitors staying in Wilmington, Delaware will find no shortage of attractions on Labor Day weekend. This lovely city in the Brandywine Valley is located on the shores of the Delaware River and offers ample opportunity for hiking in the Northern Delaware Greenway as well as exploration and learning in the stunning Longwood Gardens. Historic homes like the Winterarthur Museum, Garden, and Library offer an educational look at the city’s past, and the Delaware Art Museum offers an equally fascinating look at art throughout the ages. Families traveling with children will enjoy the Brandywine Zoo and the Delaware Children’s Museum. Wisconsin Dells is the waterpark capital of the world, with more water slides per person than anywhere else on the planet, so it’s naturally the perfect destination for families and friends on Labor Day weekend. Weather at the end of August and beginning of September can be temperamental, but Wisconsin Dells has got everyone covered; in warm, sunny conditions, guests can frequent one of the many outdoor waterparks, like Kalahari Resort or Noah’s Ark, and if the weather is chilly or rainy, there are always the equally fun options of indoor parks like Mount Olympus or Great Wolf Lodge. 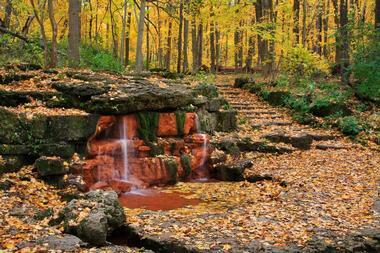 The lovely village of Yellow Springs, Ohio is home to some beautiful nature perfectly suited for family picnics or weekend getaways with friends. 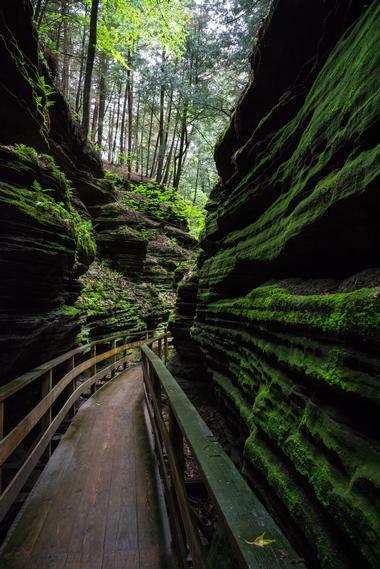 Guests visiting in Yellow Springs can spend their days exploring the dolomite and limestone cliffs of Clifton Gorge, fishing in John Bryan State Park, or hiking through the wooden hills of Glen Helen Nature Preserve to find the scenic yellow springs for which the town is named. In the evenings after a meal cooked over a campfire or eaten at one of Yellow Springs’ great local restaurants, guests can hunker down in a tent at one of the campgrounds or parks or rest their heads on a comfy bed at one of the town’s lovely bed and breakfasts. Spending Labor Day weekend in one of the most famous national parks in the United States is the perfect way to get some R&R, spend some time with loved ones, or just relax and enjoy the surrounding nature. 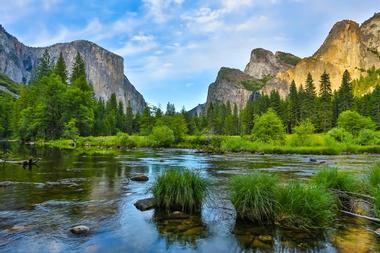 Yosemite National Park in California is located in the beautiful Sierra Nevada Mountains, and its landscapes feature massive rock formations, wooded hills, and of course, the giant redwood sequoia trees that are native to the area. 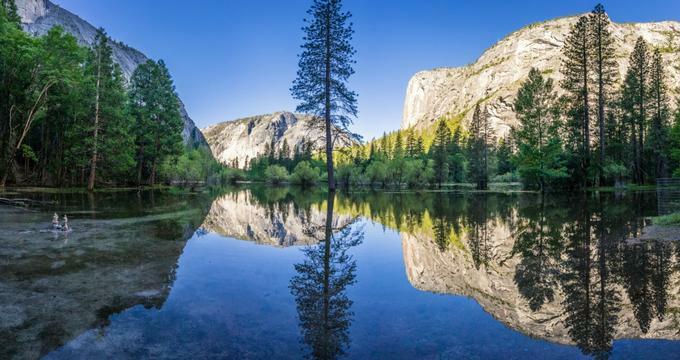 Visitors can hike or climb within the park to see its wonders, which include El Capitan and Half Dome, two famous cliff formations, and the beautiful and iconic Bridalveil Falls.